Reacting to Minister Kelly’s reference to developers lowering their expectations for massive profits, Hubert Fitzpatrick, Director of the Irish Homebuilders Association (IHBA) stated that housing developers want to build houses to meet the growing demand, but can only do so when it makes economic sense. The market price of many homes throughout the country is still well below the all-in construction cost. In a report commissioned by the IHBA from Walsh Associates, Construction Cost Consultants in 2014, the construction cost of a 3 bedroomed semi-detached house of 110 sqm is calculated at €225,961, in addition to site costs plus VAT at 13.5%. According to the Daft House Price Report 2015 published today, the average asking price for houses in Carlow is €140,536, in Offaly it’s €138,247, while in Westmeath the average asking price is €145,804. Clearly, as long as sales prices for these houses are below replacement cost, the market will not support significant increases in the construction of new homes. As long as this situation prevails, little to no new housing will be built in these areas. While the Minister has sought a different type of developer, “one that is willing to invest in social and affordable rental housing”, he fails to recognise the enormous difficulties with securing finance to deliver such long term initiatives. The Minister also fails to recognise that developers must transfer up to 10% of the development land in housing developments to meet their social housing obligations under the planning legislation. 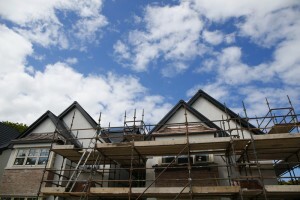 The IHBA agrees that more housing is needed to meet the national demand. However it is up to all stakeholders including government, banking, regulatory and development sectors to ensure that a viable construction environment is supported to ensure that this critical objective can be achieved. The house building industry fully agrees that the mistakes of the past should not be repeated. Planning policy is now much more measured, ensuring that an over-zoning of development land, or inappropriately located development should not occur.